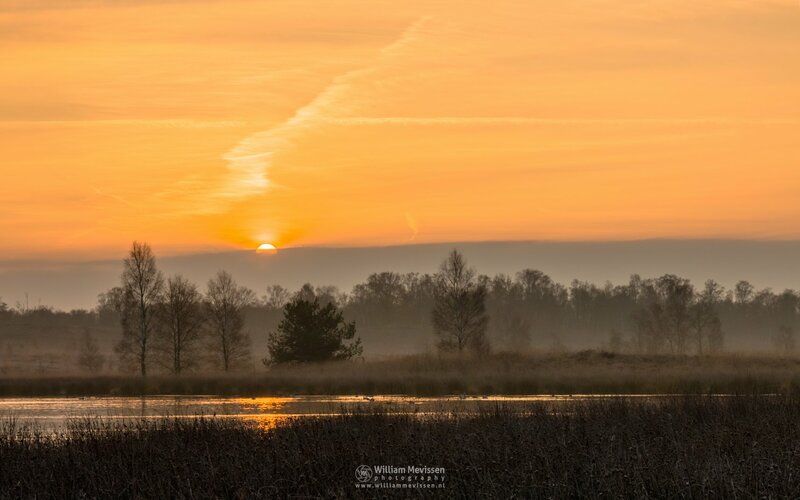 A cloudy sunrise at fen Pikmeeuwenwater on a cold autumn morning at estate Landgoed de Hamert, part of National Park De Maasduinen (Wellerlooi, Noord-Limburg, Netherlands). Click here for more information about photo 'Cloudy Sunrise'. Misty Morning Sunlight (II) at Estate Landgoed De Hamert part of De Maasduinen National Park (Wellerlooi, Noord-Limburg, Netherlands). 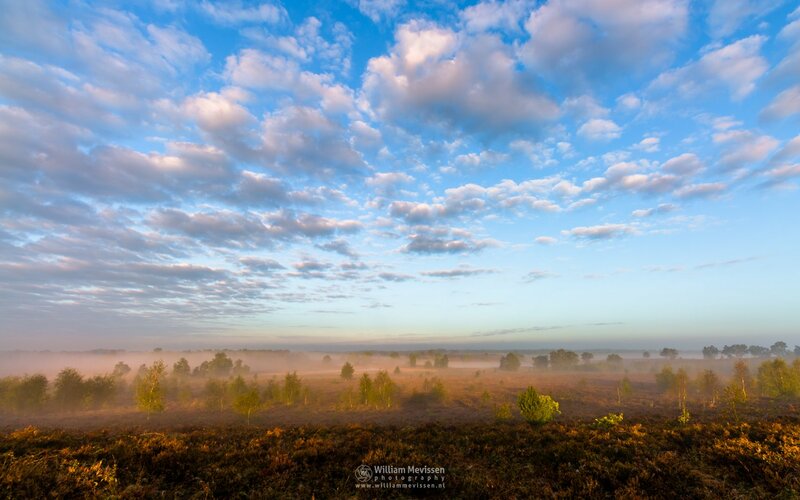 Click here for more information about photo 'Misty Morning Sunlight (II)'. 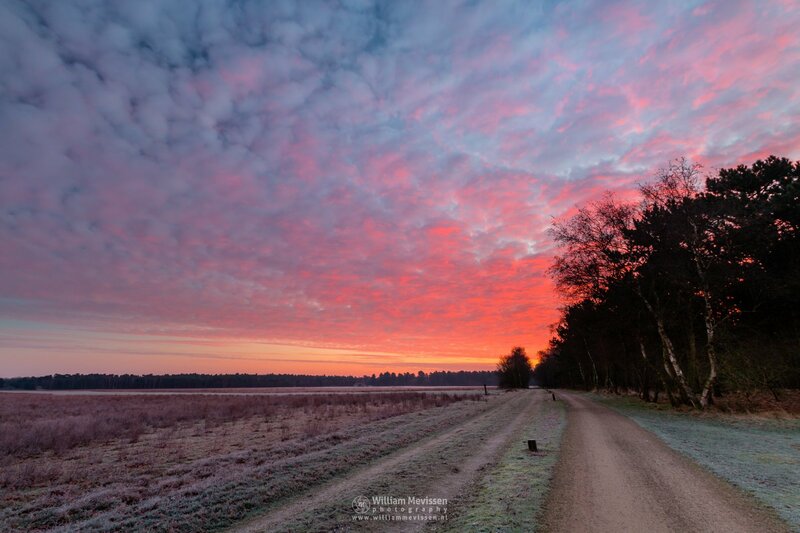 Trails in the sand at sunrise in nature reserve Boshuizerbergen in Venray (Netherlands). Click here for more information about photo 'Panorama - Trails In The Sand'. This is a HDR panorama of multiple vertical shots with each shot at 3 different exposure levels merged together in Lightroom. Expand photo and move mouse or swipe to left or right. 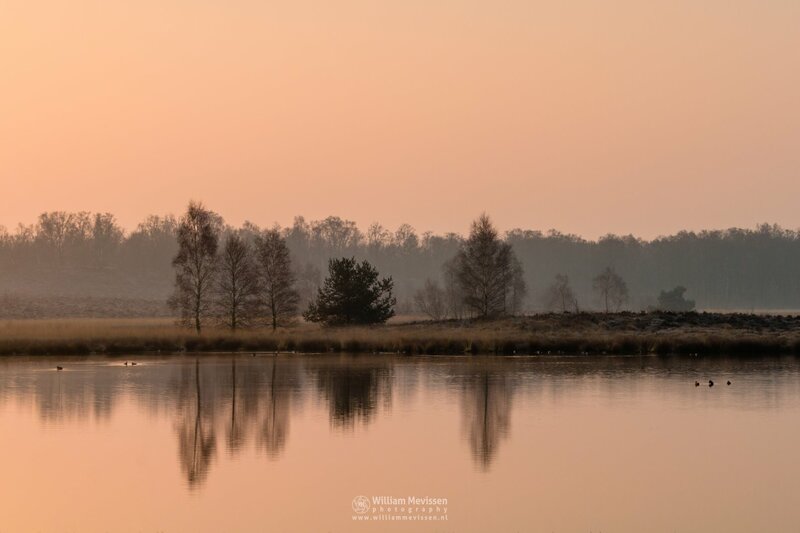 Morning Glow during sunrise at fen Pikmeeuwenwater on a misty and beautiful morning in estate Landgoed de Hamert, part of National Park De Maasduinen (Wellerlooi, Noord-Limburg, Netherlands). Click here for more information about photo 'Morning Glow'. 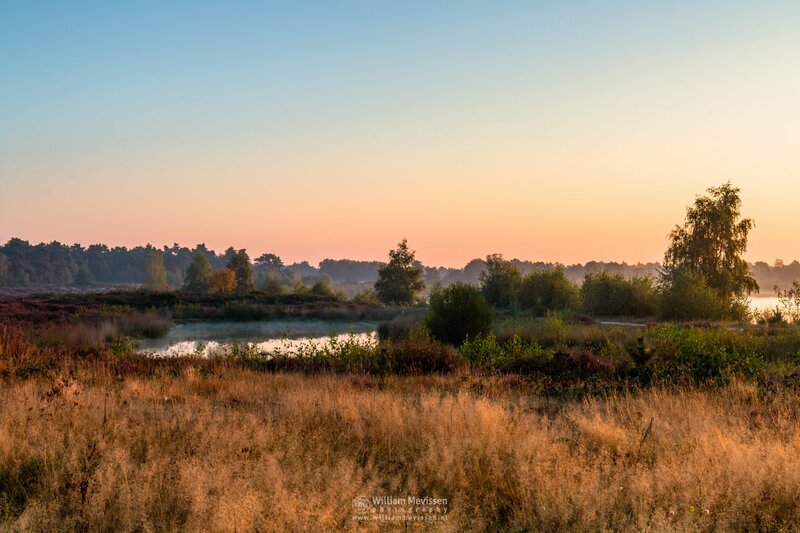 Panorama of fen Pikmeeuwenwater during a misty sunrise in estate Landgoed de Hamert, part of National Park De Maasduinen (Wellerlooi, Noord-Limburg, Netherlands). 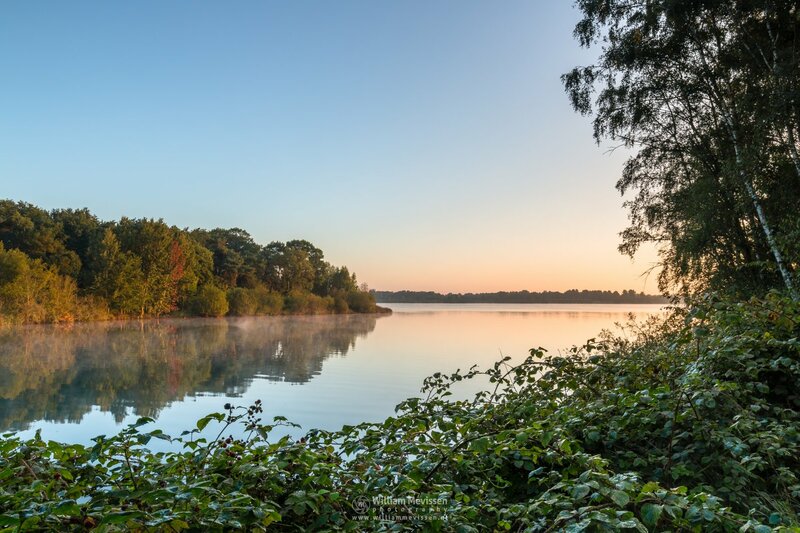 Click here for more information about photo 'Panorama - Misty Sunrise Pikmeeuwenwater'. Frosty Red Twilight in the direction of the sheepfold at nature reserve Bergerheide, part of National Park De Maasduinen (Bergen, Noord-Limburg, Netherlands). Click here for more information about photo 'Frosty Red Twiligth'. 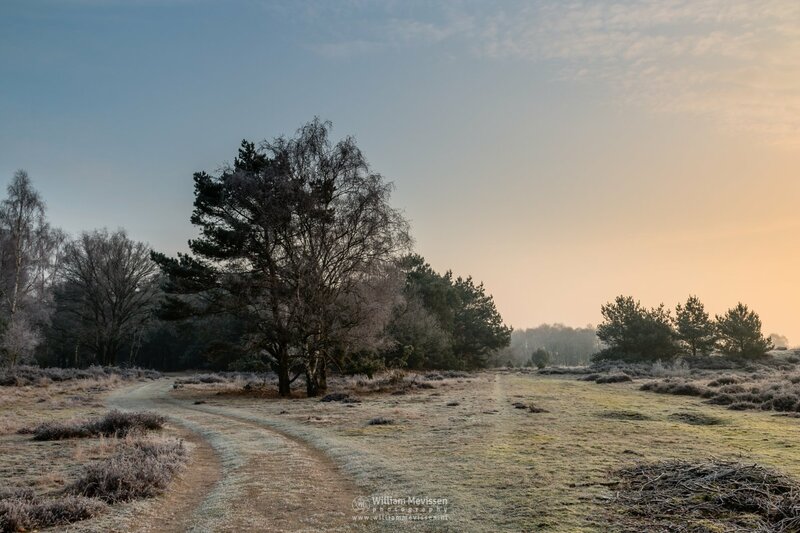 Sunny Winter Path on a frosty and foggy morning in nature reserve Bergerheide, part of National Park De Maasduinen (Nieuw Bergen, Noord-Limburg, Netherlands). Click here for more information about photo 'Sunny Winter Path'. Click here for more information about photo 'Bay View Reindersmeer'. 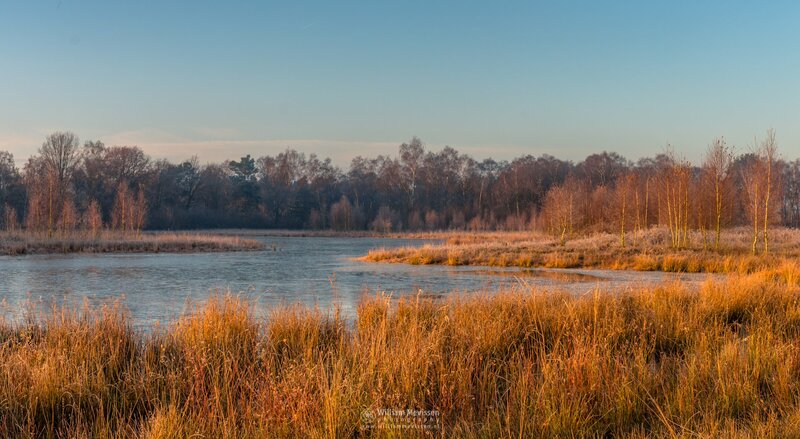 View at one of the fens - just after sunrise - around lake Reindersmeer in National Park De Maasduinen, Well (Netherlands). Click here for more information about photo 'Around The Lake'. 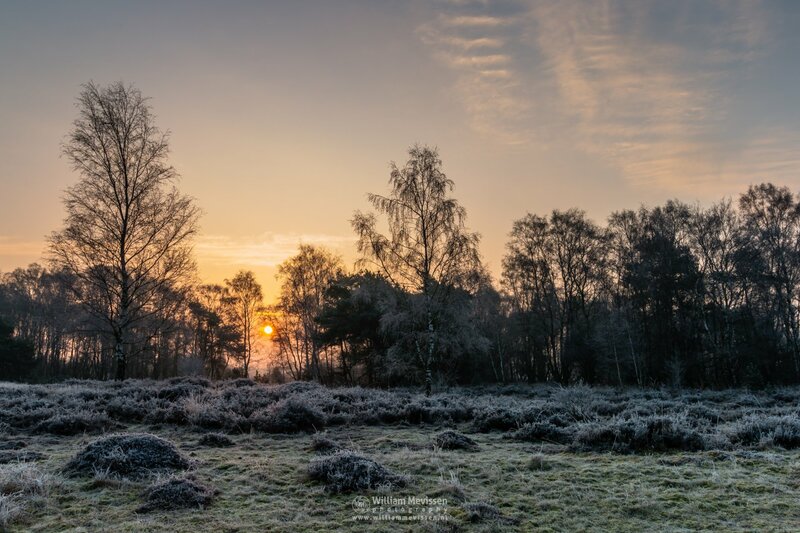 Winter Sunrise on a frosty and foggy morning in nature reserve Bergerheide, part of National Park De Maasduinen (Nieuw Bergen, Noord-Limburg, Netherlands). Click here for more information about photo 'Winter Sunrise'. 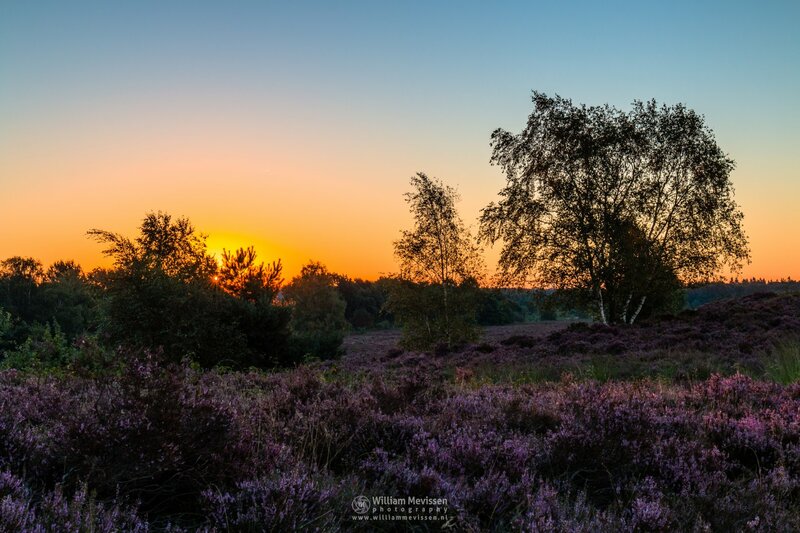 First Sunlight at the blooming heather at nature reserve Bergerheide, part of National Park De Maasduinen (Nieuw Bergen, Noord-Limburg, Netherlands). Click here for more information about photo 'First Sunlight'.